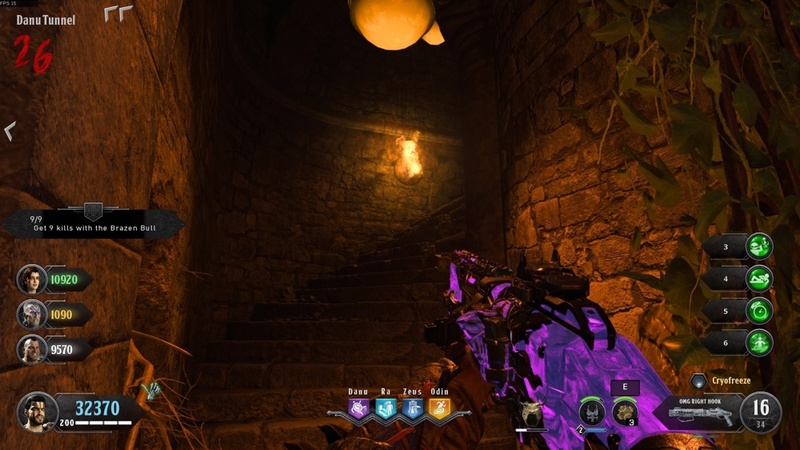 Completing the IX easter egg in Black Ops 4 Zombies isn’t easy. 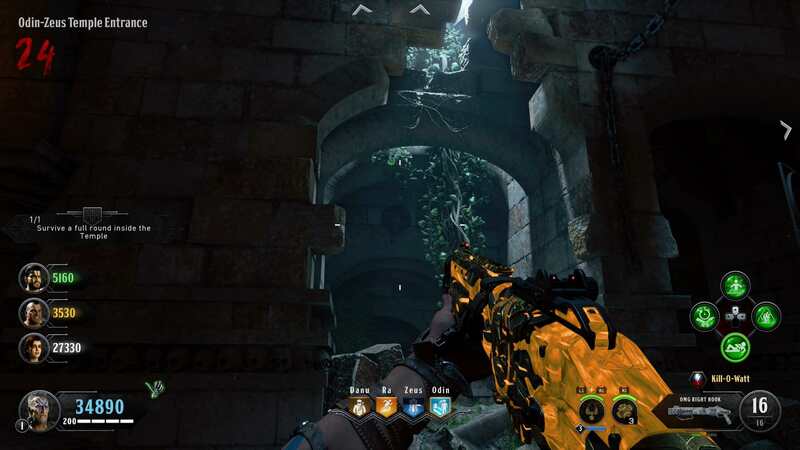 There’s a lot of steps you need to take such as unlocking the Death of Orion wonder weapon, getting the IX Pack-a-Punch, building the IX Acid Trap and more. 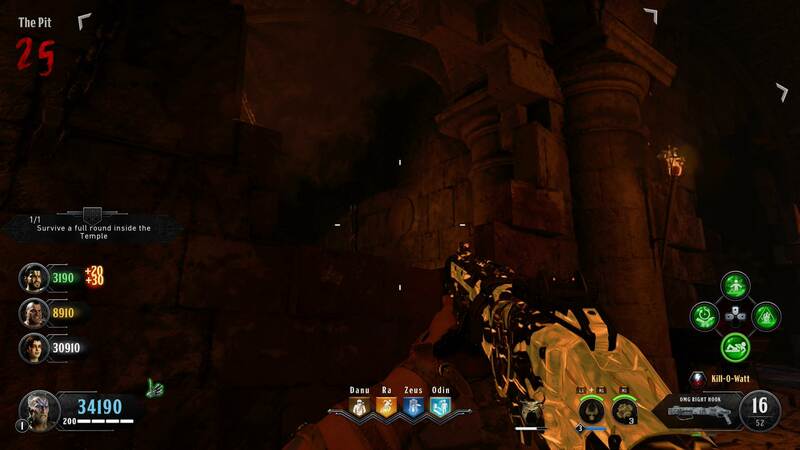 To complete it, make sure you’re following our IX guide for the Black Ops 4 Zombies easter egg. 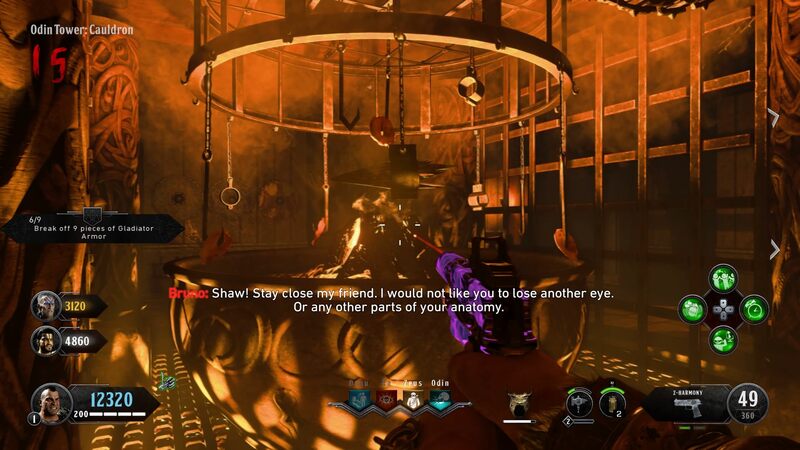 It’s taken almost a week since the game launched for folk over at the CODZombies subreddit to completely suss out the IX easter egg guide – some of the things you need to do are quite convoluted. 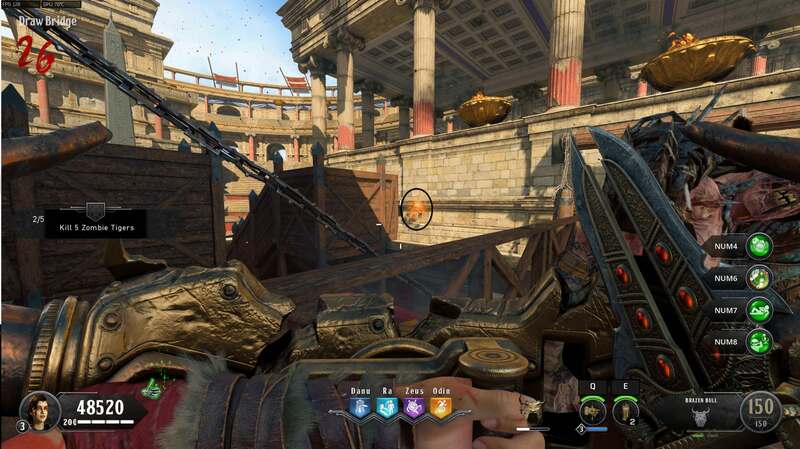 Here’s our IX Zombies easter egg guide for Call of Duty: Black Ops 4 – all clips and images contained are courtesy of /r/CODZombies. The very first thing you need to do is unlock Pack-a-Punch. Not sure how to do that? Follow our guide found here. Locate the skull in the Pack-a-Punch room. It can spawn in one of 10 locations. Look at this image to see all of the possible spawns. Equip your special weapon while looking at the skull or throw a grenade and it will pop out. Pick it up. Unlock the Death of Orion wonder weapon. This isn’t simple, so follow our guide here. Place the skull in a grinder found in the Flooded Crypt. Shoot the grinder three times with a fully charged shot of either Death of Orion, or the upgraded version – Serket’s Kiss. Retrieve the bone meal it produces. Find one of the axe-throwing gladiators and bring them to the main arena. Entice them to throw an axe at one of the two pyres. When they do, a piece of wood will drop. Pick it up and place it in the cauldron on the bottom floor of Odin’s tower. Now you need to wait for three rounds, so build up your score and Pack-a-Punch any weapons you’ve got as much as you can. You’ll need a weapon with the Firebomb effect later on, so we’d recommend trying to get that on this step. When three rounds have passed, go back to the cauldron and pick up the charcoal. Now you need to get the crowd affinity to the lowest possible. This can easily be achieved by throwing grenades at the crowd then running through the fire. The crowd will eventually throw poop at you. Pick it up. Take the bone meal, poop, and charcoal to the bottom floor of Zeus’ tower. Place them all in a bowl. Wait for another two rounds. Retrieve the fertilizer it’s produced. Place the fertilizer between two trees under Danu’s entrance floor – the same place you get the poison in the Death of Orion guide. Wait for another three rounds. The fertilizer will begin to emit green smoke. 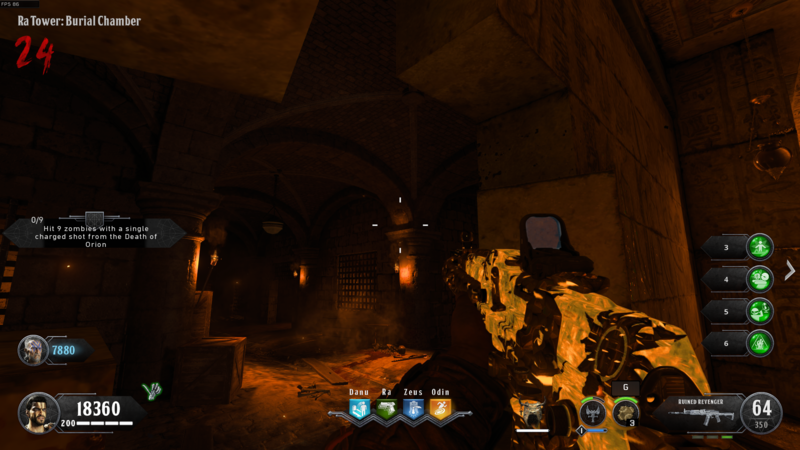 Use a Pack-a-Punched gun with the Firebomb effect on an enemy that is standing over the fertilizer. Blue cracks will start to form in the floor. Get all players in the game to stand on the cracked floor – you’ll all be teleported to a black & white version of Danu’s tower once everyone has interacted with the fertilizer. Now you need to defend yourselves, all while shooting at bright red blobs that appear on trees. Once you’ve cleared the first tree, move up to the next floor and do the same again. Then go up to the third and final floor and do it one more time. Once you’ve completed all of the trees, you’ll be teleported back to the normal map. [Part One] Ra Altar Room – In front of the mystery box against a wall. [Part One] Ra Altar Room – To the right of the gong, between two pillars. [Part Two] Zeus Altar Room – Sitting at the base of a statue. [Part Two] Zeus Tower Entrance – In the hands of a statue elevated above your head. [Part Two] Zeus Bath Room – On top of an altar next to some candles. [Part Three] Odin Altar Room – Leaning against a barrel of spears. [Part Three] Odin Tower Entrance – Bottom row of the shields stand. 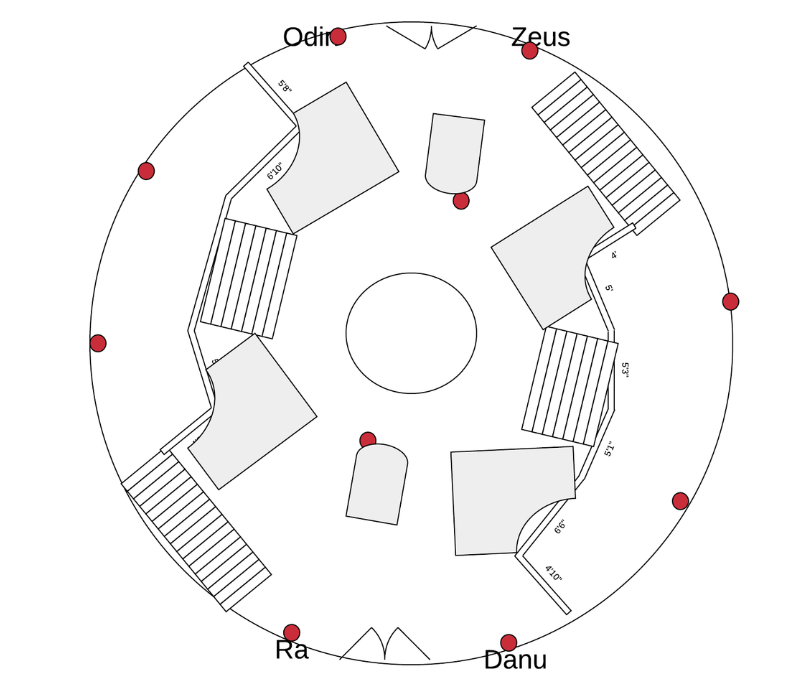 [Part Three] Odin Tower Cauldron – Leaning against a pillar to the left of two shields hanging on the wall. Once you’ve found all three parts, travel to The Pit and use the workbench to craft the Bull Shield. [Arena] Above the gate that closed when you first entered the arena at the start of the game. [Odin-Zeus Bridge] On the side of the Zeus tower, you can see it while standing on the bridge. [Odin-Zeus Temple Entrance] On the Zeus side, it’s near a cracked arch with hanging ivy. [Danu Altar Room] Inside the zombie window, facing the crowd. 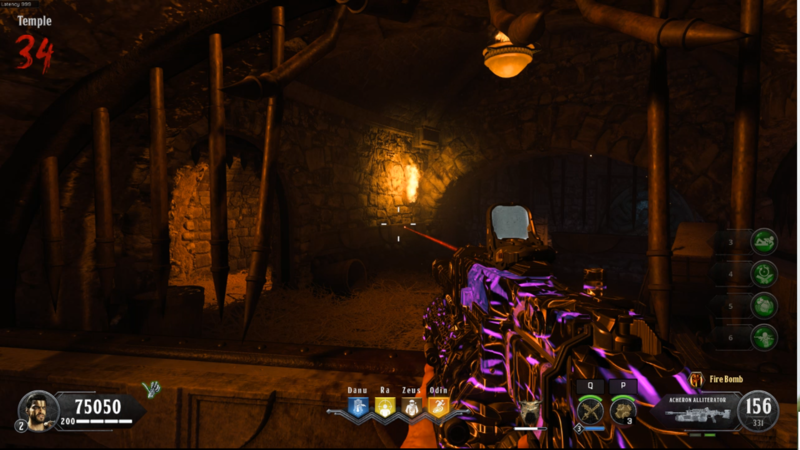 [Flooded Crypt] Past the barricade where zombies spawn, the symbol is through an open door. [Temple] Through one of the zombie windows next to a burning torch. [The Pit] Above eye level, the symbol is through a crack in the wall. [Danu Tunnel] Next to a zombie window near a torch. [Ra Burial Chamber] Through a zombie window on the wall. When you shoot at each symbol, a champion zombie will spawn. When you kill the champion, it’s soul will be absorbed by the Ra statue. 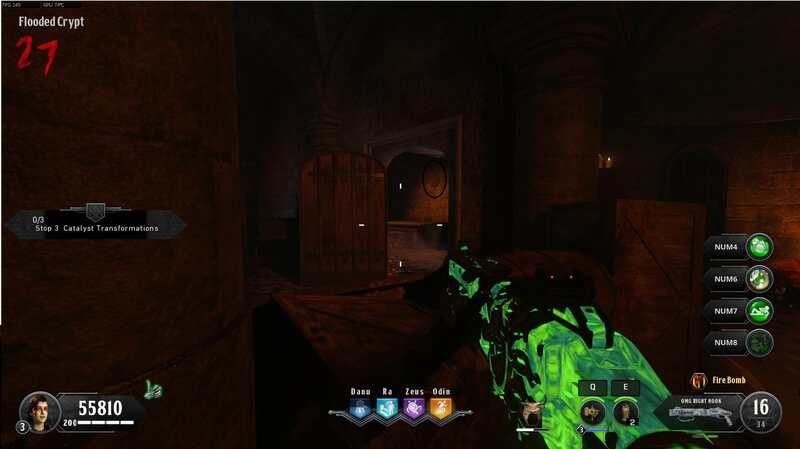 When you’ve done it for all four zombies, a laser beam will shoot from the Ra statue into an obelisk. After the laser beam stops, a symbol will appear on the obelisk. Every player in the lobby must interact with the symbol. Before you do, make sure that you take note of the symbols that appear as they determine the order you need to kill zombies in. Here are the possible symbols. When everyone interacts with it, you’ll be teleported to an alternate version of the Ra tower. 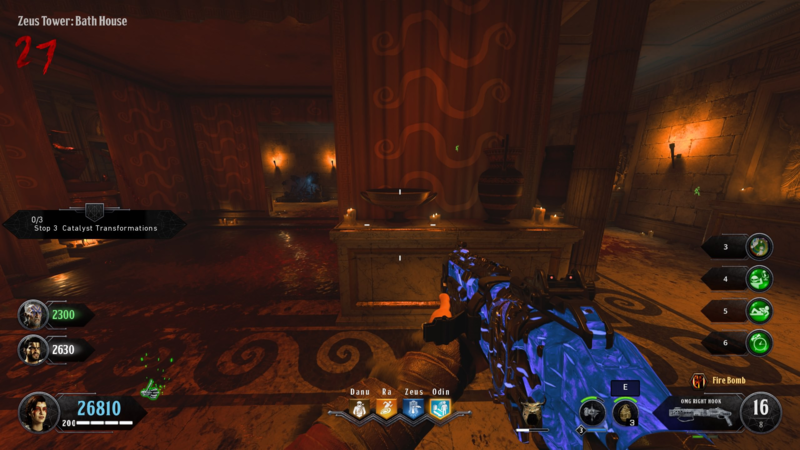 Kill the special zombies in the order the symbols appeared, from bottom to top. If you mess up, you’ll have to start this trial over again. Once you’ve completed the first wave, do it again with the next set of symbols. 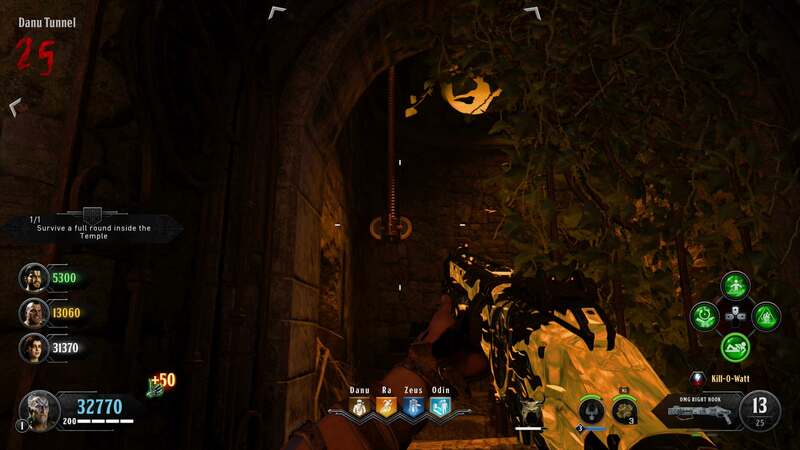 [Danu Tunnel] When you exit the Flooded Crypt, this pole is in the window to the right, slightly covered by vines. [Collapsed Tunnel] When you leave from the Danu-Ra temple entrance, the pole is through the window to the right. [Odin Tunnel] Above the large statue, the pole is sticking down from the ceiling. [Cursed Room] When you leave The Crypts, the pole is through the nearest window to the left. Now you’re going to want to re-Pack-a-Punch the Death of Orion/Serket’s Kiss wonder weapon until you get the Kill-O-Watt electricity ability. Once you have Kill-O-Watt, have all players interact with a stone pillar in the middle of the Arena. You’ll all be teleported underground. Make your way back up to the Arena, and you’ll find four electric circles around the edges. Entice zombies into these circles then kill them with the Kill-O-Watt effect. This will fill each pole with souls. When complete, the tops of the poles will be glowing. Orbs will appear in the middle of the arena. Have every player interact with an orb, and you’ll all be teleported once again. You’ll all be given an unlimited special weapon, but all you need to do is survive the round. It will mainly be gladiators spawning, so tougher than usual. 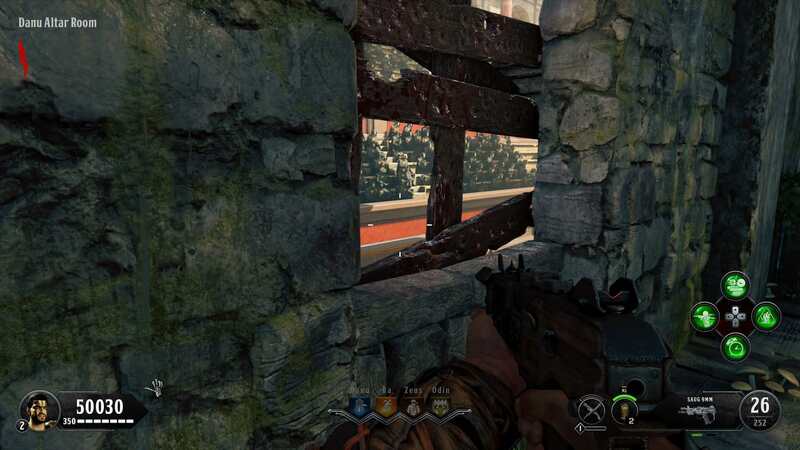 [The Pit] On a brick wall, you need to aim between a broken wall and beneath the hanging chain. [Danu Tunnel] On one of the pillars, you need to jump and shoot at the same time to get the right angle. 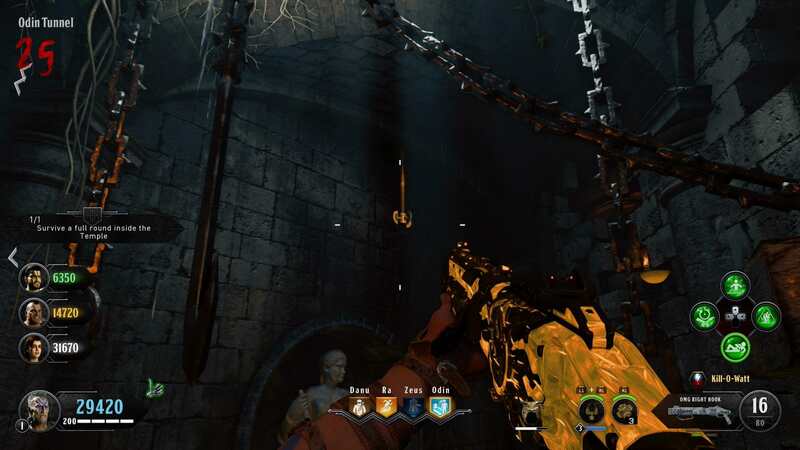 [The Crypts] On the cracked wall with hanging chains, you need to aim toward the right corner of the wall beneath the chains. After all the symbols have turned blue, have everyone go to The Pit and stand on the big metal grate. Everyone needs to interact with the grate to get teleported to the final trial. This is simple but tough. You need to survive several waves of zombies, including multiple Blightfathers. 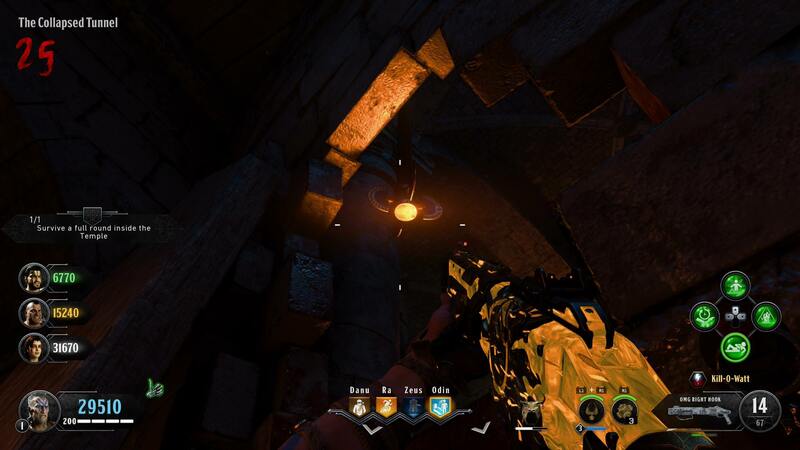 When you’ve completed it, a key will spawn on top of the grate. Next up is the boss fight. To travel there, all players need to interact with a red portal in the arena. Make sure you’re prepared and ready because there’s no going back. You’ll be fighting against Wrath & Fury. Kill several waves of enemies including zombies, gladiators, and tigers. Two huge elephants will spawn, one after the other. Shoot at the armor plating then aim for their heads to deal the most damage. When you’ve finally completed it, a final cutscene will play, and you will have completed IX. Pretty tricky, huh? 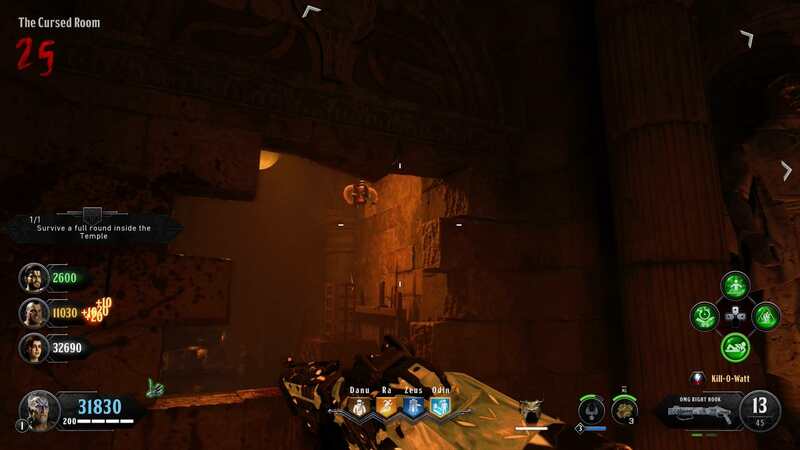 Completing the IX easter egg will no doubt take multiple tries, so don’t get too disheartened if you fail on your first attempt. 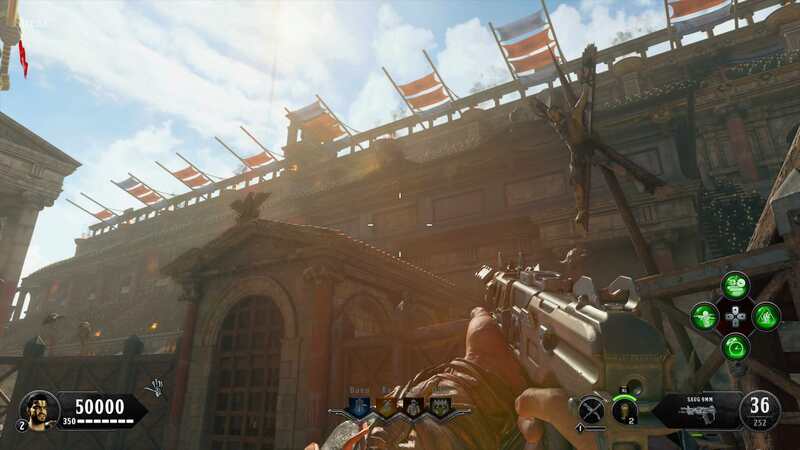 For all of our other Black Ops 4 guides, check out our guide hub here.